Home Dogs Elith Joy To The World BOB at Hedensted! Absolutely wonderful news from Elith Joy To The World! 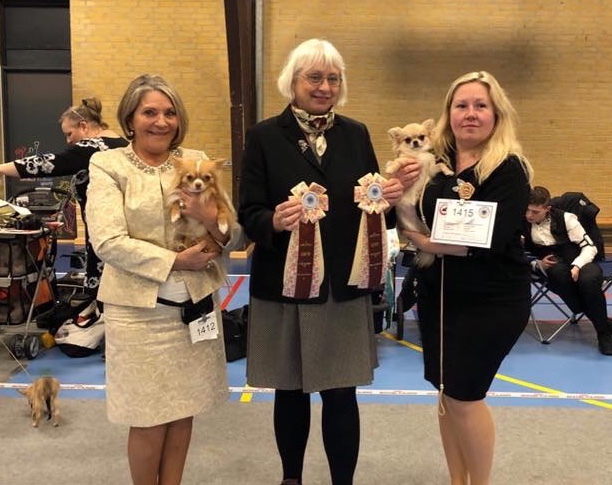 Show 1: 2nd Best female with CAC, BOS-Junior, JunCAC and Club JunCAC. Judge: Lotte Jørgensen, DK. Show 2: Best of breed with CAC, BOB-Junior, JunCAC and Club JunCAC. Judge: Ingrid Borchorst, DK. Totally 43 longcoats were entered to the shows. Big congratulations and well done to Guns co-owner Madeleine Eriksmoen!